A Natasena Production: First Performance – May 08, 1972 & still running – for 44 years. 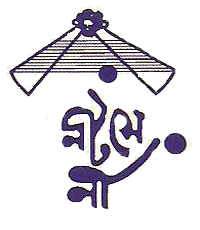 The wheels of Gorur Garir Headlight started moving with the direction of Sri Saroj Ray, the creator of NATASENA, on May 8th, 1972, the first anniversary of the Play-Group. Till now, the play has come across 1306 of successful staging. What is there in this play? Is it only a story or play acting or something else? Let’s say… Swabalambi Ghosh, a successful businessman, at the dictate of his deceased wife desires to form a play troupe. That is why an ‘Ad’ is given in the newspaper. For the recruitment of a playwright, there comes a Confectioner. For actors, there appear a Stammerer, a ’Sadhu Bangla’ speaking retired Military person who is deaf in his left ear, an Usurer, a Flirting Hero, an Opera Actor and two Rock-Ruffians. Also, a Jacky Director comes to give direction. But, where is the actress? At last, Swabalambi Ghosh finds none other than sister-in-law. She is doing research. Her subject is ‘Predilection, Love and its emotional Psyche in modern man and woman’. She starts experiment of it in the troupe itself. .….. It is fun every stage. Play within play. What a hilarious situation! Sri Saroj Ray, the playwright, used to say, ‘it is a nonsense comedy’. But, why is it not a satire? Because, the works mess up in assemble of the worthless. However, it is a funny fun-fiesta journey between sense and non-sense in the selection of subject, dialogues, action & direction. As per The Times of India’s survey, this play is the immaculate choice of the myriad Kolkata City dwellers as one of the 10 Best Plays during the last ten years. Swabalambi Ghosh : Debdas Ganguly, Biswajit Dutta, Tulsi Das Basu, Nitya Chakraborty, Subrata Nandi, Debabrata Bhattacharjee, Udayan Chakraborty. Ityadi Banerje : Achyut Basu, Rampada Dey, Akshoy Das, Durga Chakraborty, Ashok Das, Samir Charaborty, Ajit Das. Atayeb Sanyal : Saroj Ray, Dipankar Chakraborty, Subrata Nandi. Amit Bhattacharjee, Prabhas Pal, Debabrata Bhattacharjee, Durga Chakraborty. Romeo Batabyal : Subrata Nandi, Dilip Nath, Asit Basu Roy, Dipankar Chakraborty, Rajib Chakraborty, Tirthankar Ghosh. Saroj Ray, Subrata Nandi, Dilip Nath, Samir Chatterjee, Keshab Ganguly, Saptarshi Ray, Partha Sarathi Bose, Prabir Bhattacharjee, Dipankar Chakraborty. Anandabazar Basu : Nitya Chakraborty, Subrata Nandi, Sudhir Das, Dilip Nath, Mitul Mondal, Prabir Bhattacharjee. Julfi Joardar : Subrata Nandi, Amaresh Baroi, Seikh. Babul, Subir Chakraborty, Soumitra Karmakar, Prabir Bhattacharjee, Ashok Das, Biplab, Mitul Mondal. Latka Tarafdar : Satyabrata Ghosh, Subrata Nandi, Somenath Mukherjee, Dilip Banik, Subir Chakraborty, Prabir Bhattacharjee, Rahul Roy, Ashok Das, Rajib Chakraborty, Utpal Barai, Suhrid Mukherjee. Chandrabadan Roy : Radharaman Ghosh, Satya Chattopadhyay, Binoy Banerjee, Hirak Chatterjee, Subrata Nandi, Shankar Palui, Prabhas Pal, Ajit Das, Nitya Chakraborty, Mrinal Kanti Banerjee, Subir Chandra Chakraborty, Ashok Das, Indranil Mondal, Debabrata Bhattacharjee, Tapas Deb, Rana Sarkar. Chumki Chatterjee : Rupali Munsi, Rita Barman, Shukla Pal, Runa Raha, Sanchita Mukherjee, Ananya Nag, Malabika Chakraborty, Munmun Bhattacharjee, Dipti Sengupta, Sudakshina Roy, Kakali Duttagupta, Kakali Chatterjee, Kakali Chowdhury, Ananya Banerjee, Sangita Das, Sucharita Barua Chatterjee, Emili Chatterjee, Susmita Ganguly, Sagarika, Mitra Sen, Madhuparna Sinha, Priyanka Ghosh, Debarati Chatterjee, Shipra Paul. Title Song : Saroj Ray, Saptarshi Ray, Rajib Chakraborty, Ashok Das, Dipankar Chakraborty.